Jefferson believed in the infallibility of nature. He reasoned that nature, if left alone, would restore the natural balance which had been undone by disease. Doctors, he felt, interfered with this restorative process. Their slavish devotion to purging, emetics and bleeding served only to torment the patient. In Notes on the State of Virginia, Jefferson complained of hospitals where the sick, the dying and the dead are crammed together in the same rooms, and often in the same beds and that doctors most often failed to save them. However, among people eschewing the physician and self-treating at home nature and kind nursing save a much greater proportion . . . and with less abuse. This short sentence summarizes Jefferson's stance on medicine. Nature was a more reliable and gentler healer than any doctor. 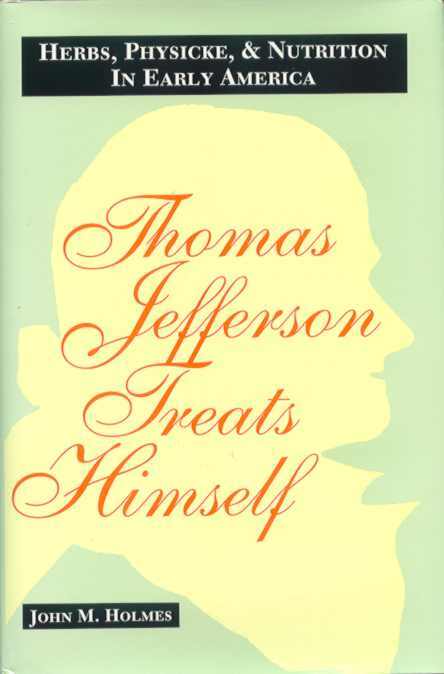 When all was said and done, Jefferson trusted most vis medicatrix naturae. In a later expression of this same feeling Jefferson, in a letter to Dr. Caspar Wistar dated June 21, 1807, remarked, she [nature] brings on a crisis, by stools, vomiting, sweat, urine, expectoration, bleeding, and [etc. ], which, for the most part ends in the restoration of healthy action. Physicians, on the other hand, he told Wistar, were a danger to life itself. I believe we may safely affirm, that the inexperienced and presumptuous band of medical tyros let loose upon the world, he wrote, destroys more of human life in one year, than all the Robinhoods, Cartouches, and Macheaths do in a century. Here again, he pronounced faith in nature's healing power and his scorn for then existent medicine. Clearly, in Jefferson's mind, the Grim Reaper bore a sickle in one hand and a black medical bag in the other.